NEW JOBS FOR VATELIENS: Guillemette is now Director of Sales and Marketing at Hotel de la Paix Geneva, a Ritz Carlton Partner Hotel. Coming soon : new interview. “Whenever I receive a resume from a Vatel alumnus, I always put it at the very top of the pile. 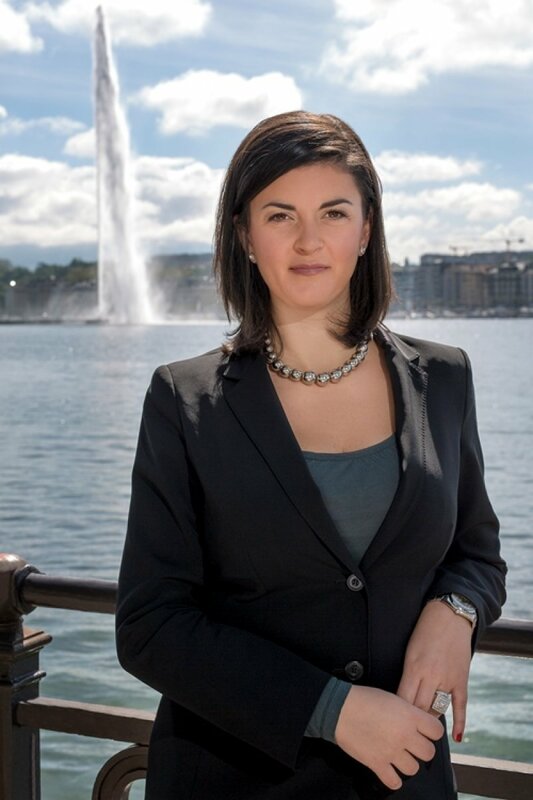 If they’ve had the same education, I’ll always prefer a Vatelien!” And Vateliens like Guillemette Notarangelo Dormans, Director Of Sales at the Geneva InterContinental, there are 29,000 spread throughout the world! Without any further ado, let’s look at Guillemette’s Success Story - a passionate, pugnacious and determined Vatelien with a brilliant career. Guillemette, can you tell us how you built your professional project: from wanting to work in hotel and tourist management, up to your current job, without of course forgetting the time you spent at Vatel? When I was 16 years old, I had the opportunity of staying at the Four Seasons Los Angeles. At that time I had no idea whatsoever about how such a hotel could possibly be organized, but that was the moment when I decided that I wanted to have a career in luxury hospitality. After a first experience at the La Cour des Loges in Lyon as a hostess in the Nicolas Le Bec Restaurant, I started out right away as a Vatel Lyon student. Sales and Marketing interested me right away and I did everything I could to work in these departments as soon as possible. Vatel, however, did teach me that we had to start “at the bottom of the ladder” to better understand the mechanics of a hotel and so I started to work in the kitchens, as a waitress and at the front desk. My first experience in sales was in the internship I did at the Plaza Athenee Paris and then at the InterContinental Paris Le Grand: my first steps, huge discoveries, my dreams were coming true. Then I had different jobs in Sales and Marketing in both hotel chains and independent hotels. Little by little, I climbed the corporate ladder thanks to my mentors and thanks to those who provided me with opportunities. What is your fondest internship memory? My internship at Saint Barthelme, at the Manapany in 2002. I left with three other students from my class. Of course, a beautiful beach with palm trees, ideal conditions when you’re 20 years old, and we all had a once-in-a-lifetime experience! But I also learned a lot in this internship where I worked in the restaurant and at the front desk. After spending nearly six months there, it was hard to come back to reality, but as the academic year was starting again, I had a clearer vision of what I wanted to do and didn’t want to do, after that. How did you get the job that you currently have? I worked really hard to get this job. I worked in nearly all the jobs that are in a Sales and Marketing department of a hotel, whether they were in the organization of groups or events, or truly in commercial prospection. I was always really focused on my results and performances because that’s the best way to show how much you are worth. I worked hard on foreign languages (I speak English, Italian and I’m learning Arabic). I learned how to surround myself with the right people and seize opportunities that presented themselves, even though sometimes that meant I had to move: from Lyon to Paris, then Monaco and finally Geneva. When you’re mobile, you are promoted much easier. What does your job consist in? I manage an external sales team, made up of five people. I also manage relationships with our foreign representatives, in particular for the Chinese and Middle East markets. My role is to approach B2B customers who are interested in working with our hotel. We have quite a few different types of customers: we have a lot of diplomats (we’re located right across the street from the United Nations), but also MICE customers (Meetings, Incentives, Conferences and Events), tour operators, companies and individual guests. I personally manage the American market and travel there four or five times per year as well as the leisure activity market, to try to fill the hotel on week-ends. I’ve got a really good team that I created from scratch when I started here, a year ago. My role consists in coaching them, motivating them and making them want to fulfill their goals while continuing to like working here in this hotel. In your opinion, what three qualities does a luxury hotel Director Of Sales have to have? Diplomacy and tenacity. But passion for your job is still the basis for everything in the hospitality industry! Have you met and are you currently in contact with quite a few other Vateliens? There are a few Vateliens in my hotel and I’ve met a lot of Vatel alumni throughout my career. We’re always happy to see each other. Whenever I receive a resume from a Vatel alumnus, I always put it at the very top of the pile. If they’ve had the same education, I’ll always prefer a Vatelien! What are you short, mid and long-term projects? The last stage in a hotel would be the Sales and Marketing Manager. I’m thinking of this in the short or mid-term.After that, why not a regional job in the headquarters or in a cluster, in Geneva or elsewhere. It’s often difficult to have a good career / life balance when you work in hospitality, but I’m the living proof that everything is possible when you really want it. I’m married and I have a daughter who’s three. My husband also works in hospitality: maybe that’s the key to success? Everyone’s got their own success story!